Improve your organization skills and increase your productivity using this unique subliminal audio mp3. Is your desk a mess? Is your house full of clutter? Are you notoriously badly organized and always in an uncoordinated rush through life? Do you feel that your poor organizational skills are preventing you from advancing your career? Is your productivity decreasing because you're you rummaging through documents instead of doing actual work? Do you think you could use a simple and natural way to become a well organized person who knows where everything is and always gets things done? Developing organization skills can make a massive difference to all areas of your life. At work and professionally even just having a tidy desk and being on top of your work shows that you are in control and responsible. Someone who is well organized will not only be seen as more successful - they will actually be more successful! This skill isn't useful only at work - saving time that you used to waste on looking for lost items can enormously improve your personal life; when meeting people you will get there on time, stress free and you will be in full control of your day generally. Some people have natural organization skills for planning their day and their lives, and keeping control over things. Others who don't have to work on becoming more organized. The best way to acquire a new skill is to work on making it a habit; but in order to get there you have to rearrange your way of thinking so that you stay focused on it all the time. And that's not easy to do, especially if you're trying to become more organized while you're in the middle of a business or personal mess. 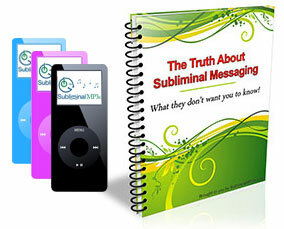 That's why this subliminal audio can be a solution for you: the messages that it contains will gradually instill in you the characteristics that will allow you to develop strong organization skills and make room to become successful in all areas of your life. Start paying more attention to organizing your time and your space. You will find that you're easily making decisions about what to keep and why, how to utilize your things and make them work within your environment. This will allow you to maintain order in your workplace and at home, without thinking too much about it. Become more effective. When you're well organized you spend a lot less time correcting mistakes, searching for information and fixing any clutter; better organizing helps you to eliminate procrastination and to always finish your tasks in a timely manner, leaving room in your life for the activities that you enjoy more. Instill trust in others. In the workplace and at home your new sense for organizing will projects an image of reliability and control, establishing you as someone who is serious and capable of getting things done. This will help you to win the trust of clients and coworkers and open new career opportunities to you. Download this album today and take back control of your life - get organized and plan for success!